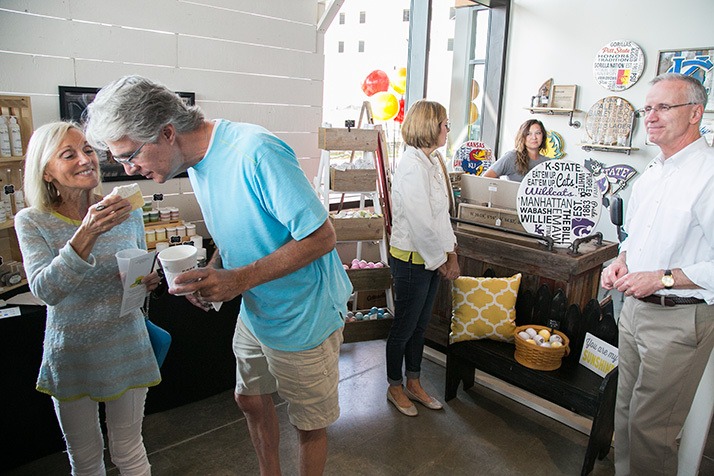 The city of Lenexa today marked the official opening of the newest feature at its City Center, a Public Market that brings together a menagerie of artisinal food and crafts. With inspiration from famous spaces like the Pike Place Market in Seattle and Ferry Building in San Francisco, the new public market provides space for a variety of food vendors and other merchants, with short-term leases available to allow entrepreneurs and small business owners to introduce themselves to the market without the need for a major financial commitment. The market is adjacent to the new Lenexa City Hall, which opened earlier this summer, and just steps away from the new Lenexa Rec Center, all part of the City Center hub that was 20 years in the making. The Roasterie and Topp’d Pizza + Salads are among the market’s anchor tenants, offering full food and drink menus. The space also features merchants with a smaller footprint, from Delyetful Soaps and Body Care Products toMad Man’s NitroCream ice cream. The market also provide a venue for short-run operations, like Red Kitchen Tamales, a pop-up restaurant that’s offering homemade tamales each Tuesday in September. 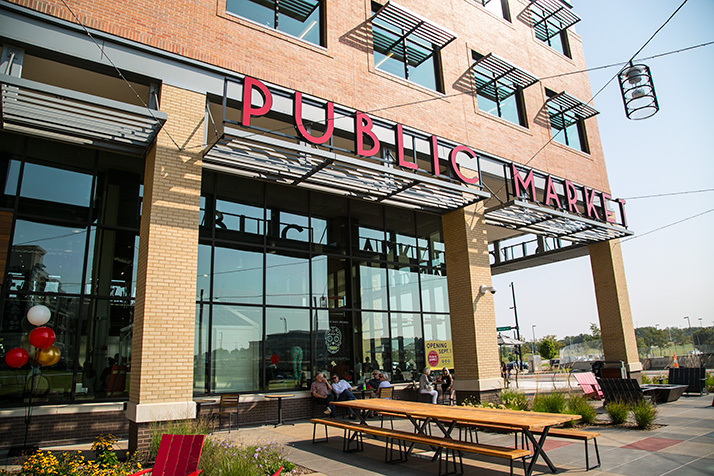 The Public Market also includes space for cooking classes and events on the mezzanine level. You can find a list of special events and classes scheduled for the market on its website here. Previous articlePulse of Northeast Johnson County: How will you be spending Labor Day Weekend?